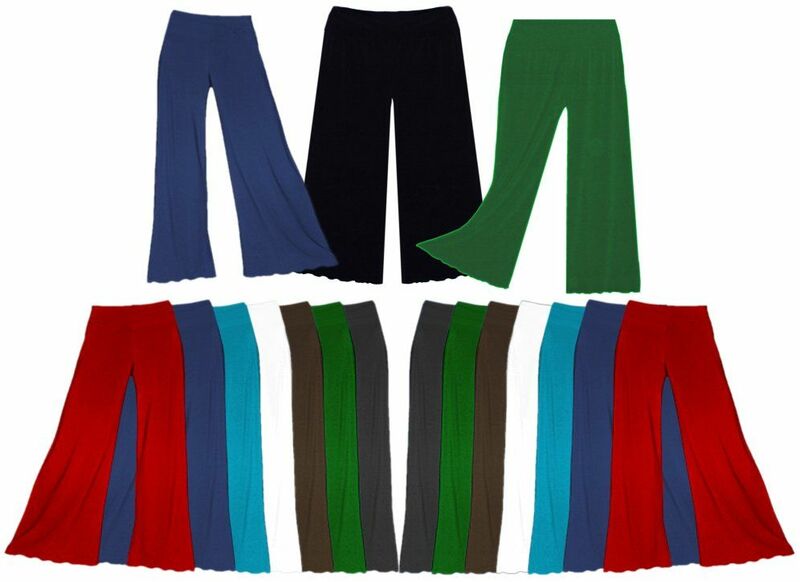 These are fabulous wide leg stretchy palazzo pants, in roomy plus & super sizes XL to 9x. They have an elastic waist, and extra roomy hips & thighs! 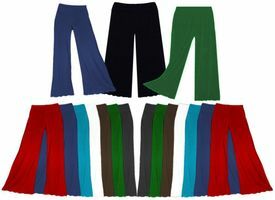 Many colors to choose from, and many of the colors are available in either slinky or velvet! We also have matching tops! The tops are a plain tunic, with a round neckline, and half sleeve (item #pal-tunic). All are stretchy, machine washable & made in the USA! Brand: Sanctuarie.